The Gurukul system is rejuvenated during the current BJP rule at the Centre with emphasis on the accomplished agenda in the BJP ruled States. Gurukul system of education is nothing but Vedic education – Sanskrit education which is being imposed on the multi-lingual States. Sanskrit is not merely a language (not spoken by people at any point of time) but a symbol of cultural oppression on the major sections of the society speaking different languages. In the name of religious dogmas, education was denied for many centuries to many people of the society who were toiling people. Only during the final phase of the British rule and after independence; education was made common to all. As a result many sections were able to come up in the social, political and economic ladders, participating in the governance of State – a true reflection of democratic spirit. The ideological patron of BJP viz. 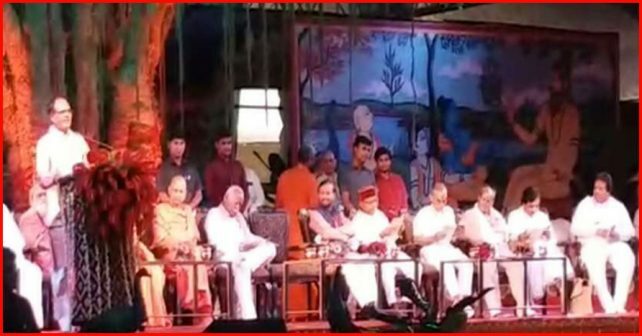 RSS has convened recently an exclusive conference at Ujjain (Madhya Pradesh) in April 2018 to revamp the Gurukul system of education wherein the Union Cabinet Minister of HRD, the BJP Chief Minister of Madhya Pradesh and many godmen associated with Gurukul institutions participated. True to the tradition, the conference commenced with the ignition-yagas. Deep deliberations took place on the ways and means of revamping Gurukul system. It was firmly resolved that the Gurukul system, on no account, should be subject to Government control but on the contrary must be specific about getting grants from government to run the institutions. Besides, it was resolved to enable the corporates as a category of items under their Corporate Social Responsibility (CSR) to donate liberally for the Gurukul system of education. The conference discussed the special thrust of propaganda to convince the parents to send their children to the Gurukul system. Special teachers to teach under Gurukul – Vedic syllabus have to be trained to meet the requirement of developing Gurukul education. The Union HRD Cabinet Minister has also assured to bring the features of Gurukul system into the New Education Policy to be declared shortly by the Central Government. As the follow up of the resolve at the Ujjain Conference, the first ball has bounced. The students who had studied under Gurukul system can be directly admitted in 10th Standard under the formal system of education. No need for any basic certificate. Self certification by the candidate is sufficient. Anyone who has attained 15 years of age and is able to appear for tests on the subjects viz. Veda Adhyayana (Vedic learning), Bharatiya darshan (Indian thought), Sanskrit Vyakarana (Sanskrit Grammar), Sanskrit Sahitya and Sanskrit language can apply for admission. It will suffice for the candidates to secure a minimum of 33 per cent. The essence of these tests is Vedas and Sanskrit. It was nothing but private study that prevailed earlier but with a difference. The private study was abolished long back. The probable candidates’ knowledge in other subjects like mathematics, science, history, geography is not at all a pre requisite for the admission to 10th Standard. The ultimate objective of the new scheme is to encourage Gurukul system of education by creating scope to join the formal main stream of education enabling them for more employment opportunities. This is an explicit mode to enable those passing out of ‘Vedapath Salas’ to apply for jobs. In other words, the knowledge of Vedas and Sanskrit language is sufficient to apply for jobs in any field. The so called ‘Merit’ is made kite fly. The minimal beginning in the expansion of Gurukul system will manifest into magnificent evil, causing degradation in the formal system of education. The educationists and welfare minded persons are not even aware of this evil entering the education sector. 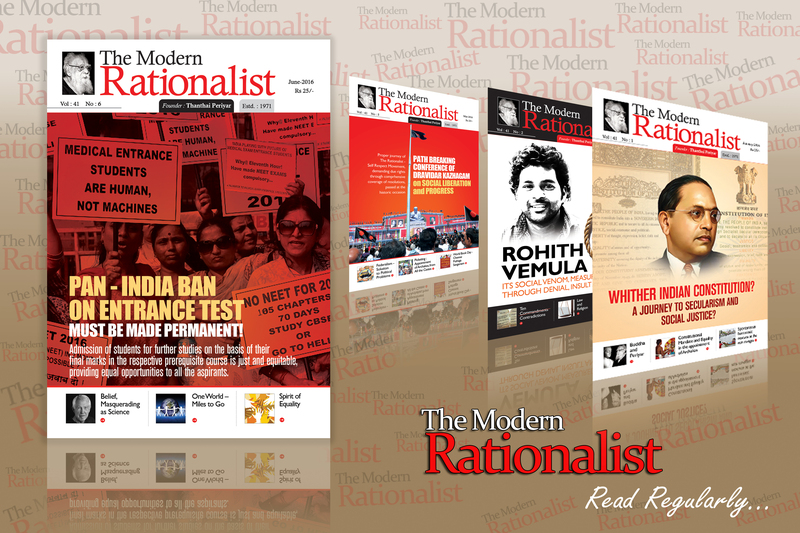 The work of the saffron forces have to be rejected vehemently. If this move is not arrested immediately, it will put the civilized society in reverse gear. The set back created during the period of saffron rule could be rectified only by double the period. Reconstruction is more arduous than construction. Let the educationist fraternity be awakened and articulate on this ‘evil’ that is bound to cause enormous menace to the society!